Learn about handling God’s money through seven Biblical viewpoints. In this episode, Bob and Mary Jo begin a series called “Biblical Viewpoints of Money and Wealth”. This topic was originally designed as a Bible Study and written by Bob Barber. 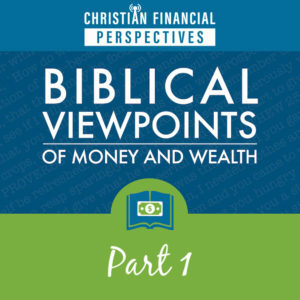 The series is a deep dive into what God’s word has to say about money, so it is a perfect topic to cover here on Christian Financial Perspectives.